SWEET Sweat Equity! Perfect fixer upper. If you have carpentry skills you can easily turn this ugly duckling into the beautiful Log Home you have been dreaming of. Good bones, just needs your personal touch. Four bedrooms, 2.5 baths. Poured concrete basement that also has a concrete room in the basement that is perfect for a storm shelter or a safe room. 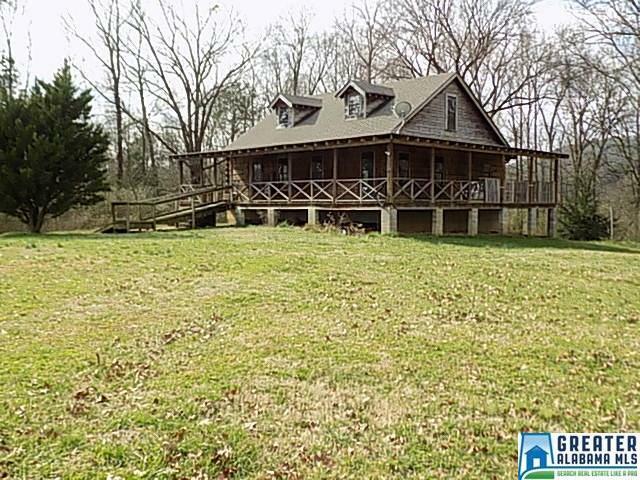 Sits on almost 13 acres and would make the perfect horse farm. Large metal building which would be great for storing hay. Property has a spring fed stream flowing through it. Country living at its best. Call for a showing! Driving Directions: Travel East From Piedmont On Hwy 278. Turn Left Onto Co Rd 27. Then Turn Right Onto Co Rd 29. Then Turn Left On Co Rd 177 And Home Will Be On The Left.